Curious about the people behind Cozy Cloud, about our history, business model, and vision? You're in the right place! Let's start with the most important and the most exciting part. Cozy is the first digital home on the market. It gives users an intelligent, decentralized and secure storage space that allows them to retrieve information via its connectors (photos, bank statements, operator invoices, e-merchants, etc.). This private and customizable environment is accessible from any device. In addition to storage, users have access to easy-to-use applications to automatically manage and organize their data. Cozy Cloud mission is part of the vision of an ethical digital. 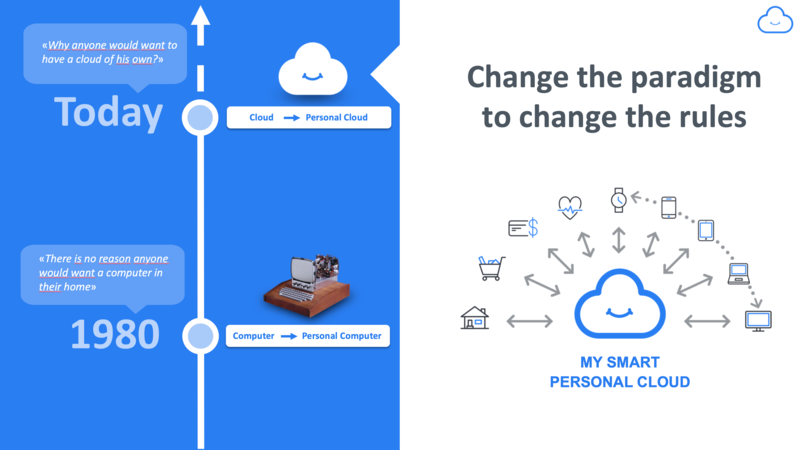 While the major platforms collect more and more personal data, a Cozy is a solution allowing the individual to take control: free software, self-hosting and protecting his data. The European economy needs a new paradigm to thrive. A platform like Cozy offers 'pre-digital' companies a new field of expression, beyond the reach of GAFA, for relevant interactions. This re-invents the customer relationship in the era of the RGPD with innovative and privacy-friendly services. We are a team of people who are passionate about software development and who firmly believe in personal privacy and freedom. We also believe in empowering users by providing them free and open source tools that can help them to improve their daily lives and remain independent from commercial service providers. We are a flat organization of equal peers, with executives and a board of members advising us on the business aspects of running the company. The core team is established. The Mes Infos project is launched (experimental platform for working with personal data). Community is established. News about Cozy Cloud hits Hacker News and LinuxFR. Cozy Cloud is selected for the LeWeb competition and joins Mozilla Web FWD acceleration program. WIRED magazine covers Cozy Cloud. Version 1.0 of the platform is announced and WIRED magazine covers Cozy Cloud once again. Cozy Cloud raises $1.1 million from Innovacom and Seed4Soft. Core Cozy apps reach version 1.0. Cozy is showcased at Las Vegas CES running on EMTEC hardware. Tristan Nitot, former Head of Mozilla Europe, joins the Cozy Cloud team. EDF started using the Cozy platform to make experiments to enhance its customer relations. Version 2.0 of the platform is released. Cozy wins the monthly Bitnami contest and joins major open source projects in Bitnami's library. Pine64, a $15 microboard, adds Cozy to their supported OS list. Cozy Cloud and Gandi announced partnership to build a commercial offer. This project won the French Innovation Digital Contest. 4 hosting providers propose 1-click install of Cozy. Cozy Cloud raises $4 million from MAIF and Innovacom. Cozy rewrite in Go starts. Cozy new version is launched at Futur en Seine. Cozy Cloud launches a new developer program to foster connectors development. Cozy Cloud in on the Orange booth at Viva Technology 2017 in Paris. Cozy's self-hosting version is available to everyone. Cozy Cloud participates to a entertainment version of Google's trial organized by Usbek&Rica. Public launch of Cozy along with Cozy Banks in Beta. Cozy Cloud launches Cozy Store and Cozy Contacts. 100 services are available to help people get back their data. Cozy Cloud wins the 2018 Innovation Grand Prix from the City of Paris. Cozy Cloud obtains Finance Innovation Label.